A spot trade refers to the sale or purchase of a financial asset (currency or commodity) between two parties (trader and dealer) with immediate delivery and settlement. By definition, spot trades are trades where obligations of both the dealers and buyers/sellers of the asset are settled on the spot. This is in contrast to futures contracts where delivery and settlement of the commodity or currency are done at a future date. In addition, a futures trade in which settlement and delivery is due in the current mouth can be considered a spot trade. Forex trading is a spot trade due to the fact that trade executions and outcomes with payment of profits and debiting of losses are done immediately; on the spot. 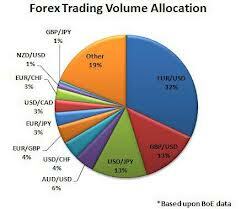 Let us confine the definition of spot trades to the forex market. An fx spot trade is an agreement between a trader and a broker/dealer to purchase one currency against the sale of another at an agreed price and on an agreed date. In essence, when a trader goes long on a currency such as the EUR/USD at 1:2750, he is agreeing with the dealer to purchase Euros against selling US Dollars at the rate of 1 Euro = 1.2750 US Dollars, for settlement on an agreed date. Settlement means the position has to be closed and the trader will have to collect back his US Dollars (initially sold to buy Euros at the rate of $US 1.2750 = 1 Euro) and return the Euros to the dealer. If the value of the Euro has increased against the US Dollar (i.e. 1 Euro is > 1.2750), the trader will get more USD and he will make a profit. If the Euro loses value against the US Dollar (i.e. 1 Euro < $US 1.2750), the trades gets back less US Dollar than he initially had and will suffer a loss. The settlement date for forex spot trades is T + 2 days, though for the USD/CAD, it is T + 1 day. So even though the trade outcome is displayed on the trading platform immediately, the trader can only withdraw profits on the 3rd day following the trade. 1) Through a telephone call to the broker’s dealing desk for manual trade closure. 2) Manual closure by the trader on the spot forex trading platform when the trader feels that the appropriate level of profit has been attained. 3) Automatic closure by setting a Take Profit target or a Trailing stop. On settlement at T + 2 days, Mr. James’s account will be credited with $460. Let us take another example where another trader, Mr. Long John, decides to carry out an fx spot trade on the EUR/SEK currency pair. He decides to purchase $ 50,000 worth of Euro, while simultaneously selling the Swedish Krona at a market price quote of 1.5057/1.5107. He makes the trade at a price of 1.5107, taking a long position on the Euro. After settlement of $ 250 spread, balance = – 605 – 250 = – $855. Mr. Long John’s account will be debited to the turn of $855 as the trade was a losing trade. Mr. Long John decides to engage in another fx spot trade on the EUR/USD. He expects the Euro to lose value against the Us Dollar based on the outcome of the Euro trade in example 2. He purchases $150, 000 worth of Us Dollar while simultaneously selling the Euro at a price of 1.2478/1.2481. In essence, he has purchased $187, 170, and sold an equivalent amount in Euros, and expects to get more Euros after settlement. After five minutes, he realizes that he may have entered the trade late, and decides to close the trade. He has incurred a spread cost of $45, so he waits for the price to get to 1.2472/1.2475, and then uses his $187, 170 to purchase Euros at the new price. The dealer accepts his new deal at the rate of 1 Euro for every 1.2472 US Dollars he holds. Long John therefore gets (187, 170: 1.2472) = $150, 072. At settlement, Long John gets 150,072 – 150,000 = $72. Settlement of spread cost of $45 to the dealer will leave Long John with 72 – 45 = $27. a) How to calculate trade contract sizes. 1 standard lot is $100,000 worth of a contract, 1 mini-lot is $10, 000 contract size and 1 micro-lot is $1, 000 contract size. Other contract sizes in between can be worked out from these figures. b) How to calculate the spread cost of a trade. c) Know the price at which an asset is bought or sold. Usually, the ask price is the price at which a Long spot trade is transacted on, while the dealer will sell a base currency asset to the trader (short position) at bid price.